Banffshire & Buchan Coast MSP Stewart Stevenson is urging students not to panic on learning their results, which are due to arrive next week and to make use of the Skills Development Scotland Exam Results Helpline on 0808 100 8000. “Firstly, I hope that students receive the results that they have hoped for but for those who fail to attain the grades needed, it is important that they should not panic as help is at hand in terms of the results helpline. “Advisors will be ready to to offer information, advice and support to young people receiving their qualifications, and their parents or carers. Note: The Exam Results Helpline will run from 8am until 8pm on 4 and 5 August, from 9am until 5pm until August 26 and from 9am until noon on August 27. Banffshire & Buchan Coast MSP Stewart Stevenson has highlighted the importance of Samaritans Awareness Day which takes place on Sunday 24th July. “The Samaritans provide confidential non-judgemental emotional support, 24 hours a day, seven days a week for people who are experiencing feelings of distress or despair, including those which could lead to suicide. Their services are available via telephone, email, letter and face to face in most of their branches. “Scotland’s communities are affected by suicides every day, so we should all aim to remove the stigma that surrounds it and acknowledge that speaking about suicide can help to save lives. “Due to the fact that the Samaritans offer a 24 hour service, they are always looking for volunteers to help in the delivery. I would therefore like to encourage people to consider giving a few hours if they can to become a volunteer and be a vital part of their organisation. SNP MSP for Banffshire & Buchan Coast Stewart Stevenson has welcomed the news that RAF Lossiemouth is to remain as a fully functioning RAF base after being reprieved from UK Government closure plans. The announcement today by the UK Government has been welcomed by local campaigners and people across the constituency. “This is good news for the Moray economy and a testimony to the hard work of campaigners who have fought an exemplary community-based campaign encompassing people of all backgrounds, walks of life and all parties. Following OfCom’s instruction to BT to change the charging structure for broadband services in remote areas Banffshire & Buchan Coast MSP Stewart Stevenson said it is a welcome step but more is required. The SNP Government has proposed further support and investment in rural broadband including the Next General Digital Fund to ensure all of Scotland is able to access fast broadband services. Last month the Scottish Parliament backed SNP proposals to improve rural connectivity and the UK Government’s commitment to extend superfast broadband. “This is a welcome move. Anything to drive down the cost of broadband has to be welcomed. “I represent many people in rural locations whose internet is agonisingly slow with BT the only provider. BT has significant responsibilities and the lack of inclination to provide better broadband has hit businesses and stunted growth. “This is an issue of real importance to Scotland’s rural economy and the SNP Government’s commitment to see improved broadband and digital services across Scotland will help grow the economy. 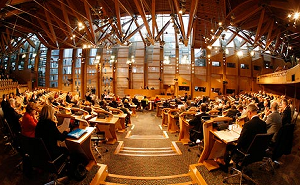 A Scottish Parliament debate last month on Rural Connectivity can be found at Scottish Parliament business, 30th June 2011. Stewart's contribution to the debate can be read and watched at S4M-00448 Rural Connectivity. That the Parliament welcomes the Scottish Government's wish to see a rural Scotland that is outward looking and dynamic with a diverse economy and active communities; welcomes the aspiration expressed in Scotland’s Digital Future: A Strategy for Scotland that next generation broadband will be available to all by 2020; notes however that market forces alone will not deliver next generation broadband and mobile phone access to much of rural and suburban Scotland and that without public sector involvement the digital gap will widen, and therefore urges the Scottish Government to develop its strategy for investment in the necessary infrastructure throughout Scotland as a matter of priority; further welcomes the UK Government's commitment to implement superfast broadband across the whole of the United Kingdom, and calls on Scottish and UK ministers to work together to achieve the best possible coverage for rural Scotland. “The SNP in Government has put significant resources into tackling fuel poverty, providing insulation, new boilers, energy health checks and working with energy companies to improve standards however as prices continue to rise we need to find new ways to address the problem. “With different temperatures and with Scotland staying colder for longer the SNP has long argued for winter fuel payments to properly reflect the higher costs of pensioners in Scotland. No one in an energy rich country should have to choose between food and fuel. Plans to make the Crofters Commission more democratic and accountable have been unveiled today by Environment Minister Stewart Stevenson. The proposals recommend that the majority of the Crofters Commission, to be renamed the Crofting Commission from April 2012, should be elected by crofters. A consultation on the draft plans, which starts today, also covers the constituency boundaries for the elections and who should be eligible to vote. "Through having directly elected voices within the future Crofting Commission, voted in by crofters for crofters, I am confident that we can build a strong partnership to deliver the growing, prosperous, inclusive and sustainable crofting communities we all want to see. "This consultation considers the detail of how Commissioners will be elected and I would encourage all those with an interest in how the new Commission is run to have their say." The consultation runs from July 13 to October 5, 2011. It states that the Crofters Commission (to be renamed the Crofting Commission from April 1, 2012) must consist of no fewer than five and no more than nine members. Of those members no fewer than two people are to be appointed by Scottish Ministers and no more than six people elected. These six members will be elected by crofters, ensuring the majority of the Commission are elected members. The SNP has stepped up calls for the devolution of broadcasting and a digital network for Scotland after the BBC’s Audience Council for Scotland reported continued failings by the BBC to adequately represent Scottish issues or Scottish perspectives on national and international coverage. The report from the ACS criticises Radio 4 for presenting the news through “a worldview rooted in the south of England”, states that there is an appetite for more Scottish news in national (UK) coverage, and raises concerns that the transition to HD is cutting access to Scottish programming. “The devolution of broadcasting powers and the establishment of a Scottish Digital Network offer a great opportunity for Scots viewers to receive the coverage, programming and perspective on the world this report shows they desire. “Scottish audiences should not have to get all their national news read through a London based agenda. “Coverage may have increased recently but we should not be in a position of every year having to tell the BBC that it isn’t doing enough and that viewers continue to feel disenfranchised. “The BBC’s failure to provide Scottish services on HD, including Scottish news, shows how little thought the BBC in London has given to the nations it should represent. Even during the recent elections anyone watching on HD in Scotland would not have seen any Scottish coverage. A code of practice is being drawn up to help the increasing numbers of new residents who are moving into Scotland's towns and cities to get on well with their neighbours. But the influx of four-legged visitors aren't coming from overseas - Scotland's urban areas are now home to increasing numbers of roe deer. Environment Minister Stewart Stevenson today visited Easterhouse in Glasgow to find out more about the issues surrounding urban deer management – from protecting the deer to preventing them causing accidents and damage. He met representatives from Scottish Natural Heritage, Strathclyde Police’s wildlife crime unit and Glasgow City Council who are working together to ensure the deer are managed in a way that allows them to minimise the impact on their human neighbours. “Deer management is traditionally seen as an issue for Highland Scotland. But this is changing and roe deer are now an increasingly common sight in urban areas – which is why this is now an issue in areas like Easterhouse. “This brings challenges in managing the deer population, both to protect the deer and to prevent road accidents and damage to property or gardens. "We all enjoy seeing deer and these days you don't need to go to the north of Scotland to find them. Instead, we commonly see them around our towns and in cities like Glasgow. "Having deer so close to the bulk of Scotland's population is terrific in some ways, but can cause challenges occasionally. The Deer Code helps set out some of the basic rules to help landowners and managers understand their responsibilities. Working together, we are developing practical guidance on how to implement the code in and around cities like Glasgow." The Deer Code of Practice is designed to support people who own or manage land on which deer are found, helping to promote responsible and sustainable deer management. The code is a key part of the deer provisions in the Wildlife and Natural Environment (Scotland) Act 2011. Consultation on a draft code - developed by SNH in conjunction with stakeholders - closed on July 1. Responses will be analysed before a revised version of the code will be submitted to ministers in the autumn for parliamentary approval. Banffshire & Buchan Coast MSP Stewart Stevenson has welcomed the announcement that two sailing related projects in Banff are set to receive funding from the Awards for All scheme run by SportScotland, Creative Scotland and the Big Lottery Fund. The Banff Community Small Schools Sailing Initiative will receive £7,000 from SportScotland to support young people from local schools to build their own boats. The grant for £7,000 will contribute towards the costs of boat builder & adult supervision, venue hire, consumables, buoyancy bangs & metal fittings, sailing instructor from SRYA, and transport. Meanwhile, Brighter Horizons is to receive £9,400 from the Big Lottery Fund to fund a group of 10 to 12 young people from disadvantaged back grounds to sail to Norway, Sweden and Denmark before taking part in the Lerwick Tall Ships event on their return to Scotland. This grant of £9,440 will fund sessional staff, fuel costs, canal and marina fees, subsistence costs, transport, group activities, equipment and navigation supplies. 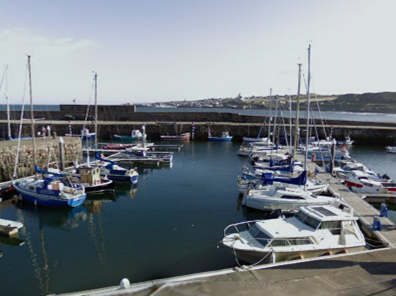 “Banffshire & Buchan Coast has a long and proud maritime heritage which continues right up to today, so these funding announcements for sailing projects in Banff is fantastic news. “Giving school pupils the chance to build a boat will teach them important skills as well as encouraging teamwork and an interest in sailing that could last a lifetime. “Meanwhile the funding for Brighter Horizons to take children who would probably never otherwise get the chance on a sailing trip to Scandinavia and to take part in the Tall Ships event is an incredible opportunity which I am sure will stay with those participating for the rest of their lives. Banffshire & Buchan Coast MSP Stewart Stevenson has welcomed the news that Roads Community Café Project in St Combs is to receive £7,000 from the Big Lottery Fund towards a feasibility study into building an extension to the popular café. “It is excellent news that Roads Community Café has received this funding award and the fact that they are looking into expanding the facilities they currently offer shows just how much of a success the Community Café has been since its launch. Local MSP Stewart Stevenson welcomed Peterhead man Stephen Bruce and his wife Roselyn to the Scottish Parliament to represent Banffshire & Buchan Coast in the traditional riding that takes place when a new Parliamentary Session begins. Following May’s elections, nominations were invited for Local Heroes from each constituency in Scotland to represent their community at the Official Opening. Stephen was nominated for his dedication to the community of Peterhead through his championing of ‘JogScotland’. The official opening of the new Parliamentary Session was carried out by Her Majesty Queen Elizabeth, accompanied by the Duke of Edinburgh before MSPs, their guests and the public came together in an open afternoon with displays in the Parliament and live music from various performers. “It is a real privilege to meet so many people from so many walks of life who have contributed and continue to contribute to their communities. “Stephen Bruce is one of those people, someone who has earned the respect of their community through dedication and hard work in a whole range of areas. “It is that community spirit that the Parliament must seek to support and protect and which the Members of the Scottish Parliament must seek to emulate. "The strength of that bond with the people of Scotland was reflected in the speeches made by the Parliament's Presiding Officer, the Queen and the First Minister, who all recognised the expectation of Scotland on its parliament as it has grown and matured since devolution and the challenges facing us. “This fourth term of the Scottish Parliament offers many challenges from developing critical infrastructure, to supporting economic recovery and job creation. Some particularly challenging issues are getting Scotland’s carbon footprint down to meet the tough targets we have set ourselves, reducing our waste and ensuring we get the maximum possible benefit from the next energy revolution in renewables. Loch Lomond and The Trossachs National Park hosted a recent visit from Stewart Stevenson, Minister for Environment and Climate Change, as part of his Ministerial summer tour. Taking advantage of the good weather, Mr Stevenson experienced one of the routes of the newly launched Loch Lomond Water Bus, crossing from the National Park’s recently refurbished Tarbet pier to Rowardennan where he met representatives from the National Park, Forestry Commission Scotland, local businesses and residents as well as Central Scotland Police to discuss tourism and visitor management initiatives in the wider Loch Lomond area. Hosting the visit, National Park Convener, Linda McKay, took the opportunity to explain to the Minister about some of the many other Conservation and Rural Development initiatives the Park Authority is involved in across the wider Park area. The new National Park Local Plan’s focus on delivering new sustainable tourism opportunities was highlighted. The Minister heard from Police Officers and Rangers about the new camping byelaws and the difference they are making to the area before calling in to the new Forestry Commission campsite at Sallochy which is already proving popular with families. Mr Stevenson rounded off the visit with a trip to the Oak Tree Inn in Balmaha, meeting with local businessmen who testified to the benefits of the National Park’s developments along the East side of the Loch. 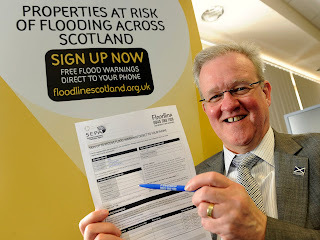 While visiting SEPA's Floodline control centre in Perth yesterday, Environment and Climate Change Minister Stewart Stevenson signed up his home address for the free service which will warn him of flood risks that might affect his property. "More than 10,000 house-holders and businesses have already signed up for Floodline alerts which save people and property in the event of flooding in their area. "With climate change adding further risk of extreme weather events in Scotland, this service is something everyone should consider signing up for. Although I live in a comparatively low risk area, I can see the benefits of an early warning of possible flood impacts nearby. Roads may be blocked and neighbours could be at risk. My knowing this could be a real life saver. "I encourage everyone to visit the Floodline web site and sign up today. It's free but valuable beyond price." 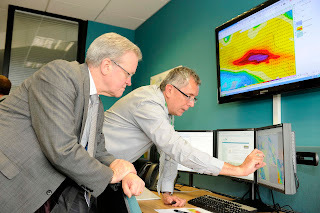 "The tight integration of SEPA expertise and Met Office research has helped the development of new modelling that makes Scotland safer. I was impressed by the engagement of all who are involved and very impressed by their commitment." Environment Minister Stewart Stevenson is visiting the Borders to see steps being taken to protect red squirrels. The Red Squirrel South of Scotland project aims to stop the pox virus carried by grey squirrels spreading. Mr Stevenson will also inspect environmental work on the River Tweed and carbon-neutral efforts in Moffat. He said the work being carried out in southern Scotland was an excellent example of public and private sectors working together in "pushing back grey squirrels". "The red squirrel is at particular risk in the Borders from the squirrel pox virus carried by greys and it is important we keep this disease at bay," said Mr Stevenson. "There are some very encouraging signs of progress being achieved by this project, which is part of a Scotland-wide strategic approach. "I am confident that we can ensure many more generations to come will be able to enjoy the sight of red squirrels by preserving Scotland as one of the few habitats remaining in the UK for this species." He added he was also looking forward to seeing the work being done by the Tweed Forum. He said its work covering issues such as "pollution control, natural flood management and control of invasive non-native species" was "vital to the preservation of local biodiversity". Later in the day the minister will visit to the Moffat Carbon Approaching Neutral (CAN) project in Dumfries and Galloway. Mr Stevenson said: "The work of the 'Zero Heroes' in Moffat is proving invaluable in reducing carbon emissions through both its innovative food growing, waste and recycling projects and raising awareness and influencing behaviour of local people. "I will be particularly interested to see Scotland's first aquaponics greenhouse." ‘Answer the call’ of wildlife. That is the challenge being laid down to land and estate owners by Wildlife Estates Scotland (WES) and the Scottish Government at today’s (Friday) Game Fair. Over 200 farms and estates have signed up to the WES initiative since it was launched last November. Today marks the start of a pilot project involving the six Scottish estates of Atholl, Abernethy, Allargue, Alvie, Glenlivet and Edinglassie which will put the ten key commitments of WES into practice. WES is an industry-led quality assurance scheme which demonstrates how effective biodiversity management is undertaken by Scotland’s landowners. Embracing the requirements of all major birdlife and biodiversity agreements and directives, WES will show how tangible benefits are delivered to the wildlife of rural Scotland through positive, integrated land management. “We are delighted that so many land and estate owners have already joined WES and today from the Game Fair in Scone we are appealing to those who have not yet done so to now become involved. “We are confident the pilot scheme starting today will prove how effective the industry already is at integrating rural economic prosperity with effective habitat management. We also hope that it will flag up any areas where constructive change may be required. “The more estates we can get on board and put WES into practice the better since that inevitably means greater credibility and integrity for the whole project. It is particularly encouraging to have the new Minister for Environment Stewart Stevenson here today to support our call”. “This industry-led scheme demonstrates those involved in Scotland’s rural land and estates are serious about proving their land management practices are in the best interests of biodiversity and wildlife habitats. Scotland’s sporting estates have a vital role in managing our countryside and make a valuable contribution to our rural economy. Those who are interested in signing up can do so now through the new WES microsite available at www.wildlife-estates.co.uk or by contacting Scottish Land & Estates on 0131 653 5400. The WES initiative has been developed by Scottish Land & Estates (formerly the Scottish Rural Property and Business Association) over the past year with advice from Scottish Natural Heritage, Game and Wildlife Conservation Trust and the Cairngorms National Park Authority. Wildlife Estates Scotland is a national version of the EU Wildlife Estates (WE) label.